The Queensland Crime and Corruption Commission (CCC) says it has smashed a major cocaine and ice racket on the Gold Coast linked to Hells Angels. It comes after a major covert investigation known as Operation Atlanta, which targeted organised crime in the area. Four men, allegedly major players in a distribution network that had links to the Hells Angels Outlaw Motorcycle Gang, are facing over 650 separate criminal charges as a result of the investigation. A 41-year-old has been charged with 244 offences, a 55 year-old property developer has been charged with 296 offences and a 46-year-old has been charged with 26 offences. All three have been charged with trafficking and supplying ice and cocaine. The 41-year-old man was also charged with producing ice. A 55-year-old Gold Coast man was charged by the CCC last month as part of the operation, with 91 offences including trafficking ice and cocaine and 74 counts of supplying drugs. The wholesale value of the ice is approximately $250,000 but would have a significantly larger street value after being cut, repackaged and sold. A range of weapons were also seized during the operation including a pump action shotgun, rifle, butterfly knife and a taser. The men were bailed and are expected to appear in the Southport Magistrates Court on 3 March 2017. 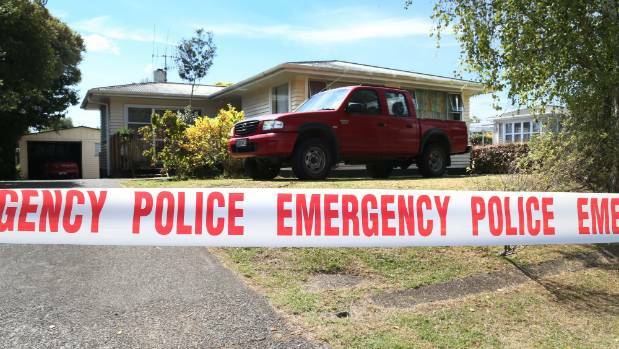 Police tape surrounds a property at the centre of a shooting on Clark Rd in Whangarei on Wednesday night. On Clark St in Whangarei, it's obvious the residents take pride in their neighbourhood. Lawns are trimmed and manicured, rose bushes are in fine health and people wave good morning. That is, except at number 53, the scene of a gang-related shooting on Wednesday night that left five people in hospital. The property at Clark St, Kamo, where five people were shot. The house has been a bigger thorn for residents than those rose bushes for some time now, as one of the only rental properties on the street in Kamo, a northern suburb of Whangarei. The main street in Kamo, Whangarei. 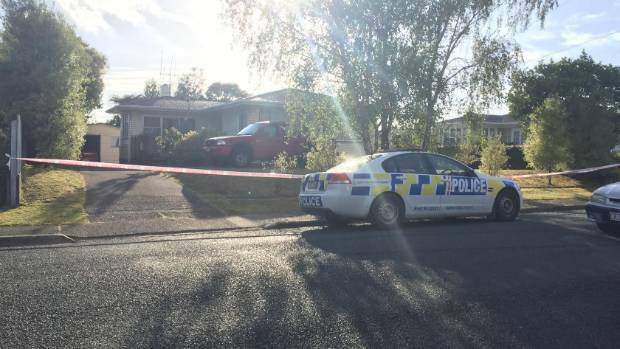 Loud parties, yelling and screeching tyres are commonplace, which is why many locals were unsurprised when they woke up on Thursday morning to find the house surrounded by police tape. "There's always noise coming from that place, never shuts up," one resident noted. On Wednesday night at the house five people were shot. All of them had links to gangs. Police at a property on Clark Street in Kamo, the scene of a gang shooting. Police arrested a 21-year-old man in relation to the incident on Thursday. No-one died and all are being treated in hospital, but five shootings is an abnormally high number for New Zealand. Clark St residents were happy to talk, but all refused to be named - worried about retribution from the house's residents. One woman said she had heard a commotion on Wednesday night, lots of yelling and screaming, but had no idea so many shots had been fired. "I wasn't about to get out of bed and go over there, well above my pay grade." 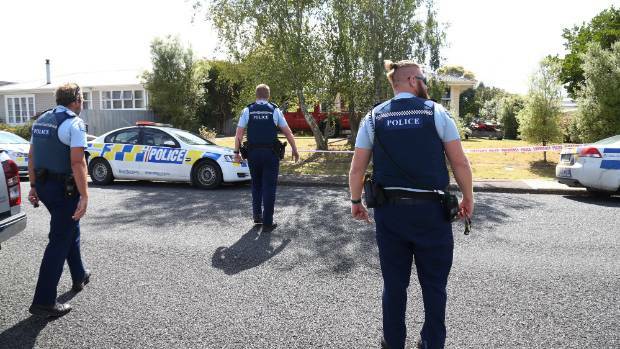 While the quiet suburban street was an unusual location for a mass shooting, there has been a spate of gang violence in Whangarei in the past six months. In October last year Tribesman patched member John Henry Harris, known as John Boy, died after being shot in the chest north of the city. The 37-year-old was dropped on the doorstep of the ambulance station, but did not survive. The same month Moses Noor Mahanga, a member of the Headhunters, was shot in Otangerei. When asked if they were worried about the escalating gang violence and what was behind it, one Clark St resident was adamant about the cause. "I may be old but I'm not stupid, and I'm pretty sure there's a drug problem at the root of all this." It's a thought echoed by many others, but who are more specific: methamphetamine. In August, Mark James Lang was jailed for more than 14 years for helping cook one of the largest batches of P police had ever seized. The lab where he was working, in the rural Northland community of Waiotira, had the capacity to produce $3 million of methamphetamine each week. A few years earlier police seized millions in drugs and cash and arrested 13 Headhunter associates and prospects after executing search warrants in the city. One man well-placed to speak on the issue is Martin Kaipo. An ex-Black Power member, Kaipo is now a community leader and has worked with the gangs on many issues. He was unsure if the latest violence was drug-related, but said there was no doubt gangs in the area were involved with methamphetamine. The drug was a huge issue both in Northland and the rest of the country, and not going anywhere in a hurry. "The problem we've got now is there's no cure. In those days there was some sort of cure, now families are having to endure the tough luck cure. "I know that a few fellas, because there's not enough information out there, not enough support systems out there, [their families] are seeing that those under the influence of methamphetamine are more manipulative than you're best conman." 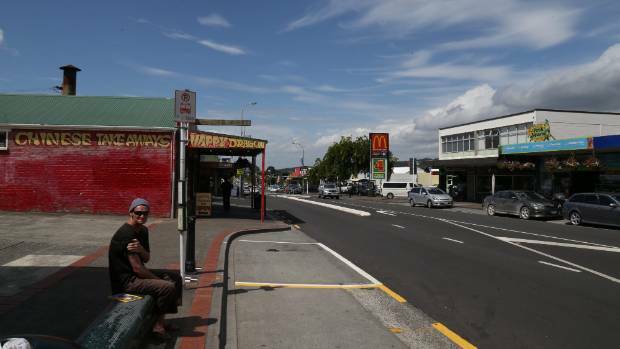 In Whangarei youth were increasingly getting involved in the drug, being dragged into the trade by older people with promises of big paydays. "The streets are being flooded, it's affected not only Maori but every part and parcel of the community, those in significant and prominent positions to those on the streets. "You look at some of the product that's being sold, like $2000 to $4000 a day. Who wants to work for normal wages?" Kaipo said methamphetamine was impossible to fight and instead education and therapy needed to be better funded. But Whangarei MP Shane Reti believes at least part of the solution to both the gang and drug problem does revolve around the law, as he recounts the benefits national's announcement of more policing will bring. "What we do know is with the 1000 new police Northland is going to be one of the priority areas, so that's a very good thing." Northland will also receive $3m from the Criminal Proceeds Act, which will be used in collaboration by the police and Northland DHB to address the methamphetamine problem, he said. "There's a mental health and addiction response as well and as indicated we've just received a significant amount of money to actually focus on that whole spectrum, which is those who are addicted and what are the services...we can offer them to encourage them not to reenter the cycle." What of the gang problem though? Is it worse than in the past? Reti does not think so and believes that while there are public concerns about crime, it's no more than other areas. I'm not seeing any more [gang violence] than I've seen in the past, that's my observation."